This kit is a FRONT-ONLY ENDLINK KIT for 2012+ Camaro SS cars that are installing Pfadt ZL Spec Sway Bars. This kit uses a larger stud on one end that is required for use of the ZL Spec Sway bars on your factory 2012+ Camaro SS strut housings In addition, this part is included with our Pfadt OEM Suspension Update Kit for 2010 and 2011 Camaro's. Designed and tested with the same engineering and race principles as our Corvette end links, these units offer increased strength and less weight than stock. Our end links are perfect for Camaros that will see some race duty, or have a performance goal. 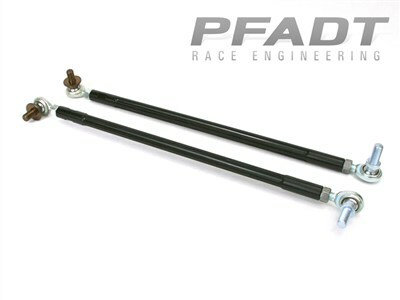 If you are running coil overs and have increased grip levels, our Pfadt End Links will handle the load. The turnbuckles are high strength 6061 T6 aluminum and are anodized gloss black for great looks and ultimate durability. The rod ends are teflon coated for smooth quiet operation and are studded for ease of installation, reduced part count which reduces weight. The studded rod ends also adressed any concern with the OEM tab bending. Innovating, engineering, and constantly moving forward, Pfadt will always blaze the path for new and improved suspension solutions for your Camaro. 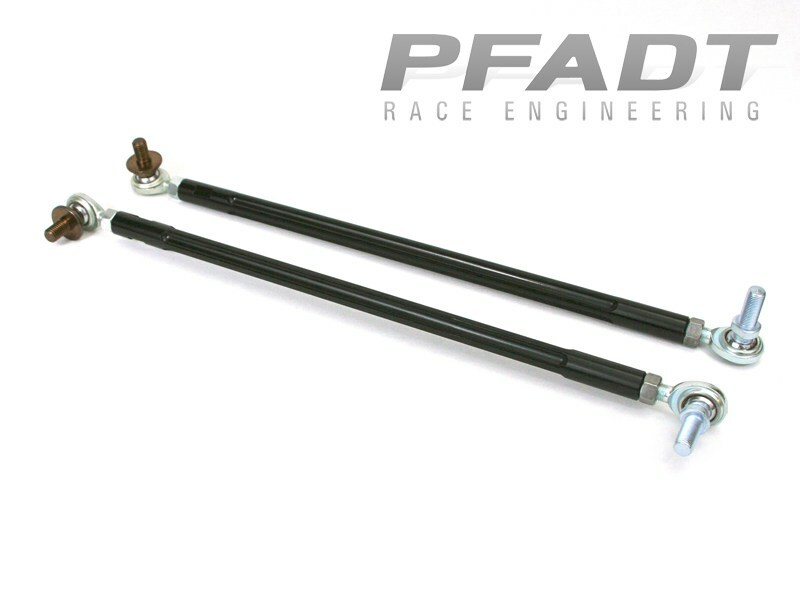 This kit is a FRONT-ONLY ENDLINK KIT for 2012+ Camaro SS cars that are installing Pfadt ZL Spec Sway Bars. This kit uses a larger stud on one end that is required for use of the ZL Spec Sway bars on your factory 2012+ Camaro SS strut housings In addition, this part is included with our Pfadt OEM Suspension Update Kit for 2010 and 2011 Camaro's.